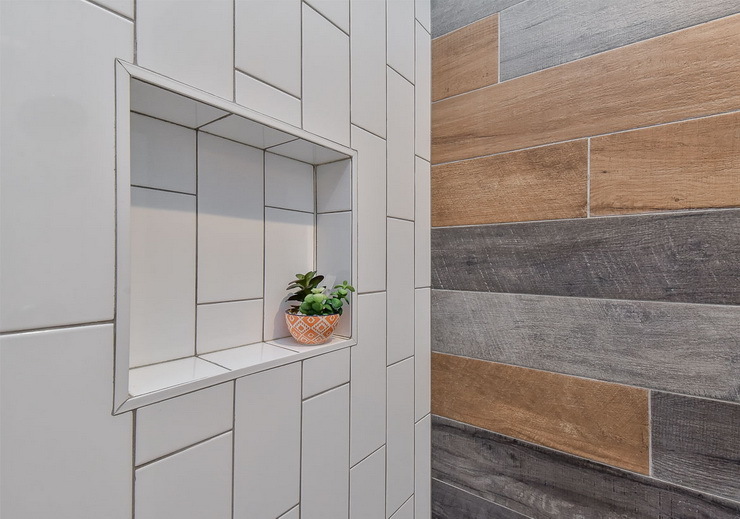 There’s nothing more versatile than tiles! You can use them anywhere, and they’d lend their unique charm to the space! And, there’s no limit to the patterns on tiles either. You don’t need to restrict yourself to the usual squares or rectangles, or not even the plain whites, blues or the prints. There are a plethora of the designs, patterns, textures, and colors depending upon the space you want to put them on. 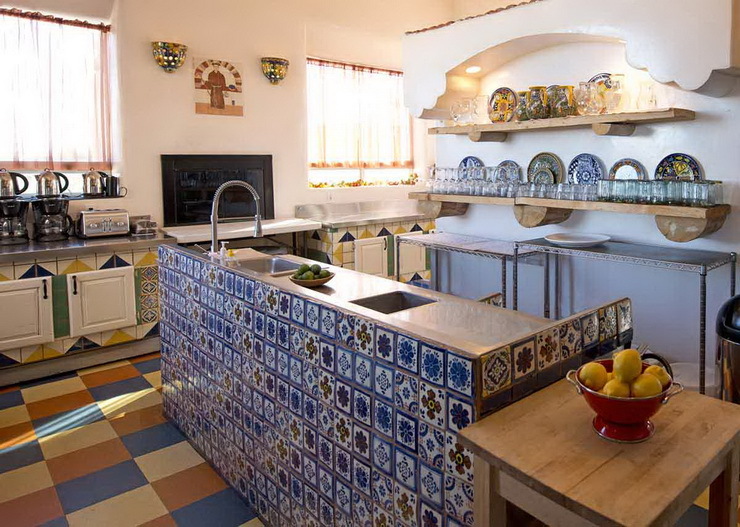 Let’s take a look at the unique tile patterns you can use in your home! 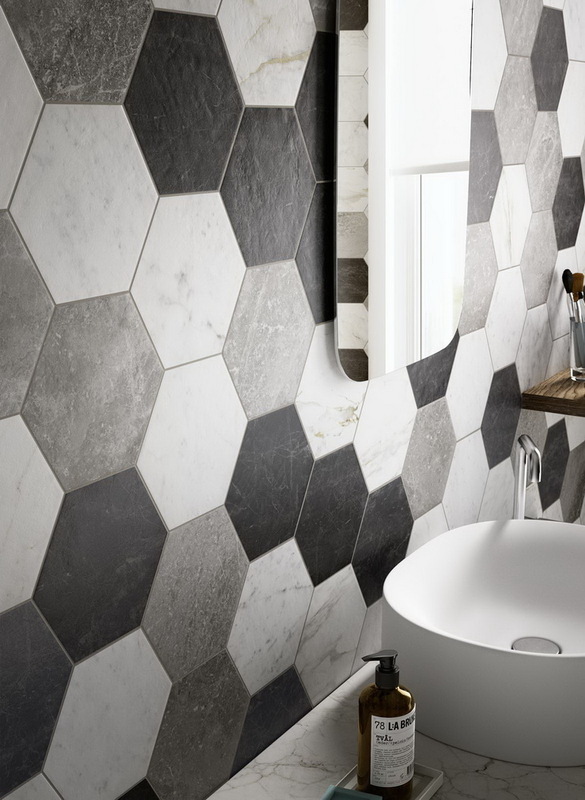 7 ‘Unusual’ Tile Patterns You Can Use In Your Home! Wish to add a little drama on the floor? The Hexagon tiles are good to go. The fun bubbly circles are ideal to create a light and peaceful energy in the bathroom. This delicate and geometric design is perfect to brighten the room and to add the funky vibe. 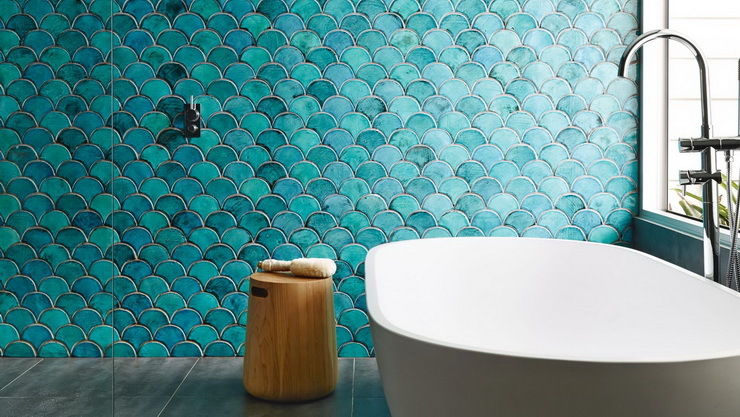 The “Fish Scale” pattern is ancient, yet feels exotic or nautical. It creates a sense of motion because of semicircles that appear to be overlapping like actual fish scales. The space with these tiles looks energetic & whimsical. It is ideal for the shower floor to give it an extra anti-slip grip. Whether in fashion or in interiors, stripes are always “in-trend” to add the magic. Stripes create an optical illusion of extra length. Hence, the space looks extra large. This is an ideal option for narrow space spots in the house. This brings some “Spanish” flavour into your home. You can use this beauty in the covered porch or in the kitchen to give it a makeover. You can definitely go for a classically patterned rug, but can you avoid it from getting shredded or stained? No! 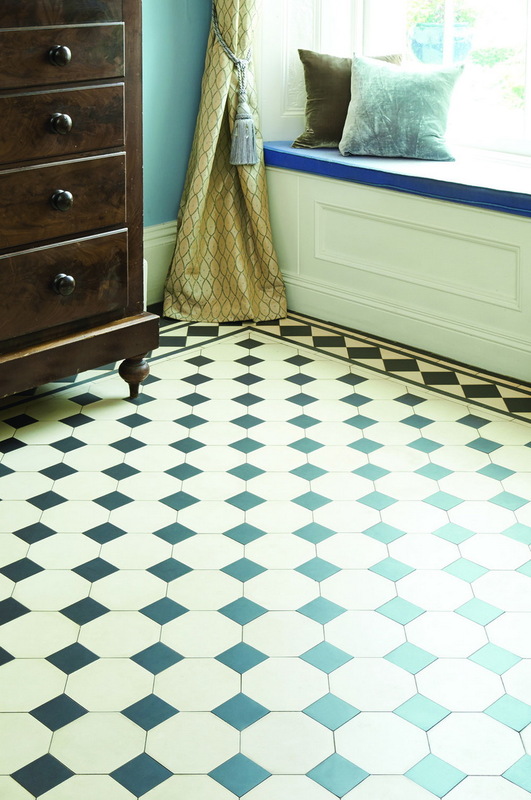 Here you can create a similar look with tile and add some drama with some stunning pattern set in a border of plain tiles. Also, you might use the plain border matching to the wall and trim color is smart if you have a few walls in odd shapes. As the name suggests, “Penny” tiles make a textural and interesting scene. They could be used inside the bathrooms, kitchen or even in dining rooms. The colors they can look appealing in are black, white or some powder blue. Bands are slightly different from stripes. They are wide and short and have different effects. The space having the tiles in different bands playing against the lengths and enhancing the width instead appears like a tunnel. It adds some drama and perfect for the small space, where too many patterns could be overwhelming. Interesting and attractive, aren’t they? If you are looking for expert advice on your home interiors, get in touch with Hipcouch today! Newer PostOwn A Sea-Facing Home In Mumbai? Here's How You Can Design And Maintain It! Older PostWant To Use Marble In Your Bathroom? Here's The Guide You've Been Looking For!